Since opening as a hotel in 1944, this truly historic building has welcomed a fair few notable figures. Grace Kelly and Prince Ranier stayed here during their honeymoon, and Segovia would sometimes spend the evening playing guitar in its courtyard. Moreover, it is said that Salvador Dali created Gala at the Parador, while General Franco is another past visitor. However, its ancient origins are far more notable than its guest book. Indeed, this is reputed to be the first holy place built in Granada by Christians, and is located on the site of a Moorish house which would have belonged to a noble family. In fact, remnants of this original building which dates from 1495 are still to be found. 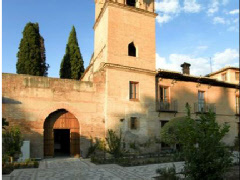 A monastery for much of its existence, King Felipe V is said to have visited in 1729.